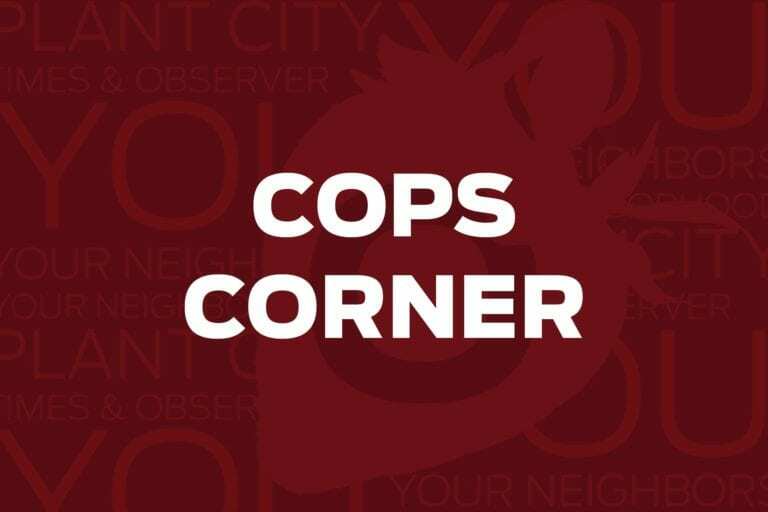 This week on Cops Corner officers investigated an attempted theft of thousands of dollars worth of cigarettes and looked into tampered gas pumps. 100 block of N. Pearl St.
Burglary: This victim was moving out of her apartment. During the process an unknown person entered the apartment and stole a 49” LG television. 1200 block of Townsgate Ct.
Grand theft: Two men entered a convenience store and decided to attempt to pull off a grand heist. They tried to steal $2,393.54 worth of cigarettes from the store. 1900 block of E. Alsobrook St.
Criminal mischief: Officers came out to a gas station after the owner said someone had tampered with two gas pumps. The security strips were compromised on the pumps, but there was no noticeable damage to the pumps. The officers also didn’t find any skimmers. 1100 block of N. Johnson St. Aggravated battery/domestic battery: Two people were having a verbal argument when one of them decided to pick up and throw a small brick, striking the other person. They were arrested and sent to Orient Road Jail without incident. Retail theft: A woman was confirmed to have stolen more than $200 worth of clothing from Wal-Mart. She was detained by loss prevention and when officers arrived they found out she met the adult pre-arrest diversion program so she was released with instructions to comply with the program.